Half-Human, half-Romulan female. 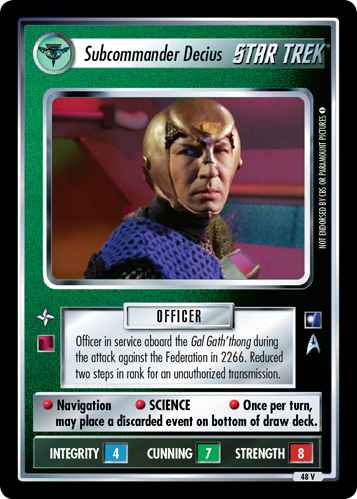 Failed to subvert the Klingon Empire by assisting Lursa and B'Etor. Her future seemed dim after her failure to conquer Vulcan. 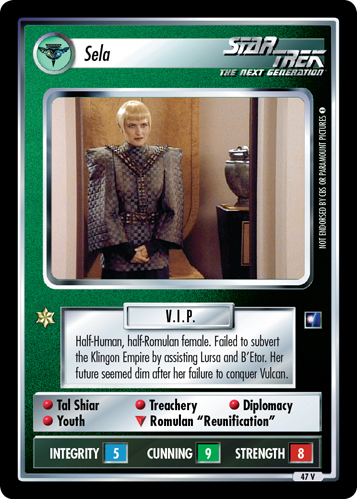 • Tal Shiar • Treachery • Diplomacy • Youth ∇ Romulan "Reunification"